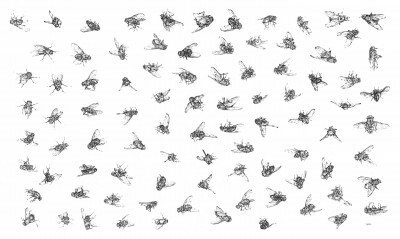 Exploring museum entomological collections I was interested in the tendency of the museums to include, for many pragmatic reasons, only the most perfect or rare specimens within their collections. 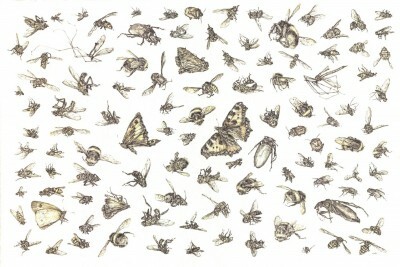 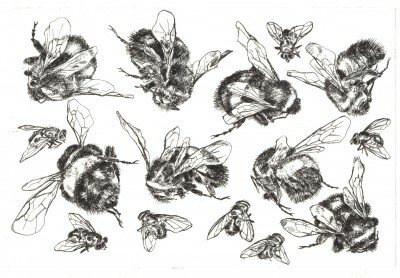 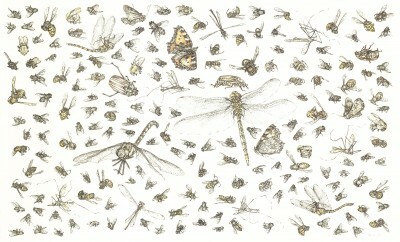 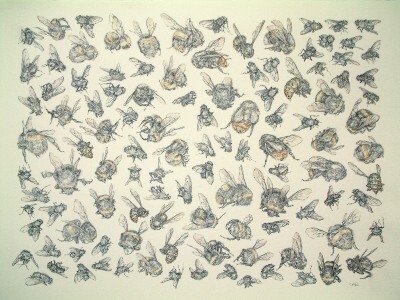 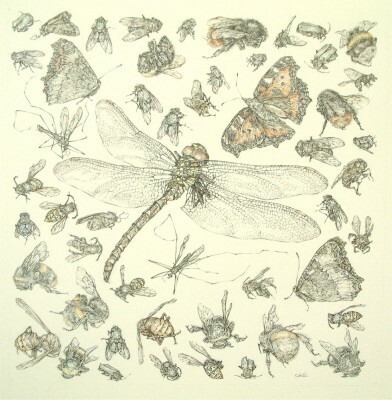 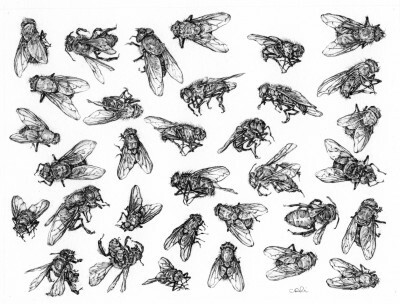 My own studies of found insects have not been prepared for exhibition and remain twisted, crooked, less than perfect. 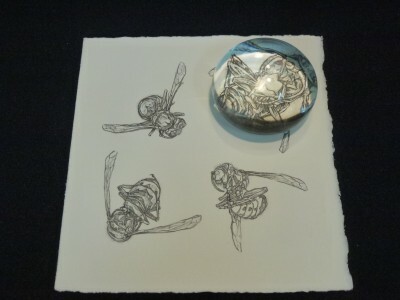 These images are part of a large series of direct observation insect studies, made using a magnifying lens to study everyday found specimens. 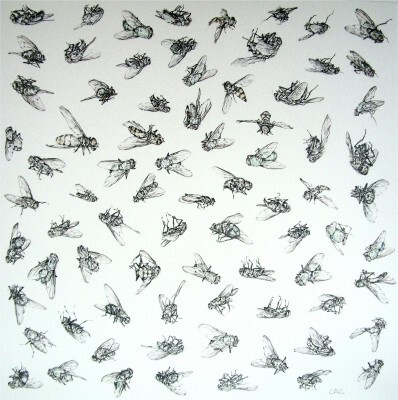 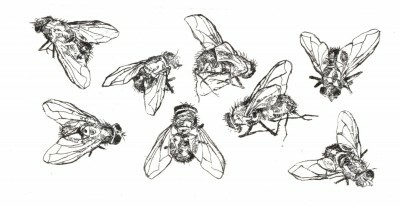 Repeated observation of similar specimens parallel the repetition of the insect display as a tool of investigation. 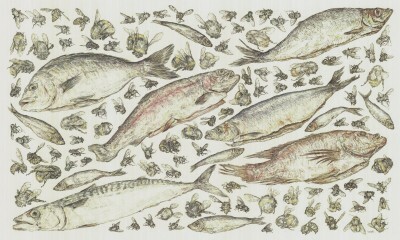 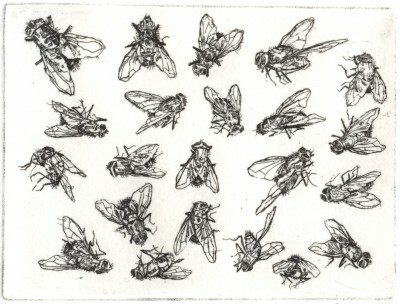 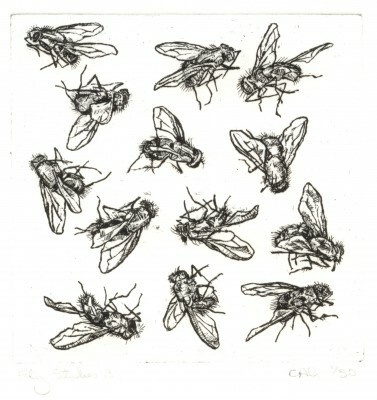 Some studies are drawn with graphite and watercolour on paper, others are inscribed directly onto the wax ground of a prepared copper etching plate. 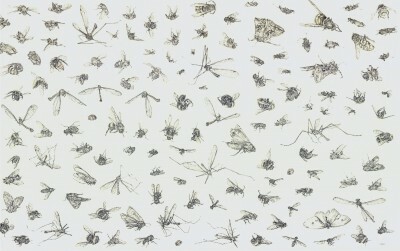 A needle similar to those used to pin insects in the display of collections is used to draw into the wax ground. 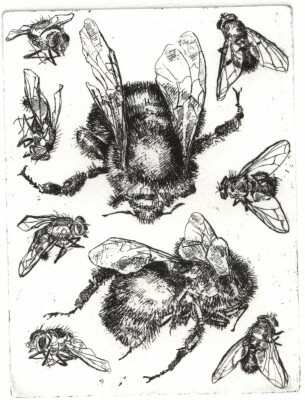 The quality of line is further developed by the mordant in which the copper plate is later submerged, and by the subsequent inking up process.